The Bay Area’s most eligible bachelors and bachelorettes on stage at Sundance Grill II. Well Houston had its list and Galveston had its list, so it was time for the Bay Area to have its list of most eligible bachelors and bachelorettes. The honorees were chosen for their contribution to the cities in Galveston county. They are Lance Fegen, Ange Mertens, Hank Dugie, Wendy Shaw, Dr. Louie Robinson, Erin Webb, Kevin Smith, Blaine Ochoa and Justin Gripon. Ange Mertens had the idea to use the community involved honorees to raise some money for the American Diabetes Association. She put together the fun Date Auction night that was held at the beautiful Sundance Grill II, where the venue and food was graciously donated by Hans Mair. The bidding went wild when the Bachelors and Bachelorettes each walked the runway. Dates with Lance Fegen and Wendy Shaw went for the highest bids of the night at a wonderful $3,000 each. Lance Fegen is the Culinary Director for the Liberty Kitchen restaurants and offered a dinner for eight people in their home with him as the chef, and that exciting auction item went for $2,300. 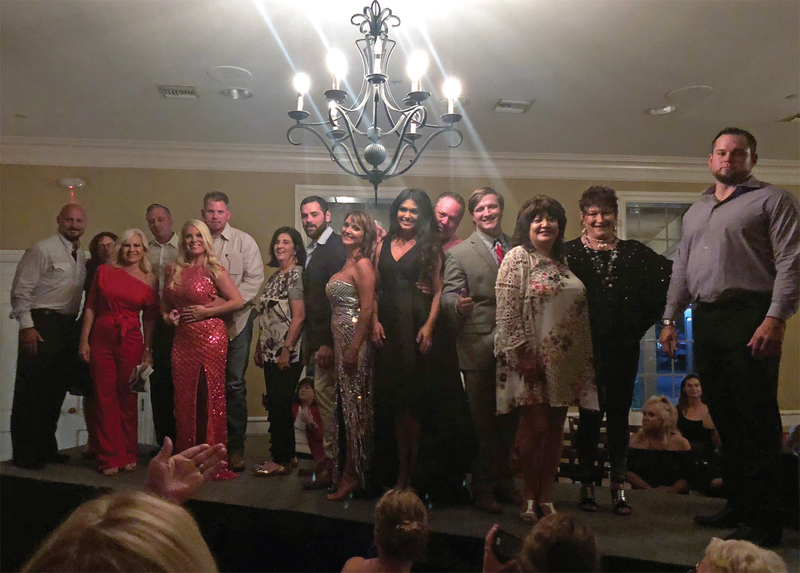 The bidders and audience alike had a great time as the honorees strutted their stuff and brought in $18,000 for the American Diabetes Association! League City Mayor Pat Hallisey was the Emcee and shared his story of the heart attack he had last year while working hard after Hurricane Harvey. Hallisey is a Type 2 diabetic and had to have his leg amputated from complications from his diabetes and warned the audience of the evils of uncontrolled Diabetes. The illustrious Rick Clapp from Bay Area Houston Magazine did a great job as the auctioneer. Ange, who is a Type 1 diabetic, spoke at the end of the auction and thanked everyone for coming, asked everyone to be cautious of the signs of diabetes and told everyone about the research and support you can find at diabetes.org. Mertens also thanked the sponsors, Liberty Kitchen Restaurants, Tax Recourse, Elite Care 24 -hour Emergency Room, and Sundance Grill II. Attendees then enjoyed a night of listening to and dancing to the tunes of MECHANIX.